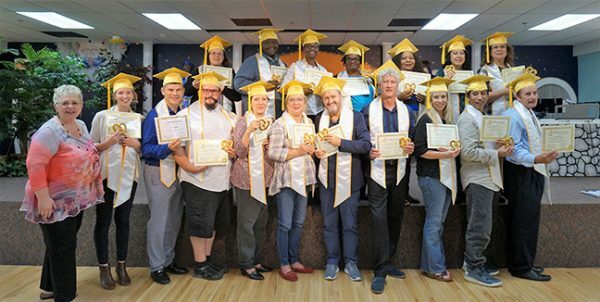 Here are the steps to become a certified graduate of either the School of Supernatural Children’s Ministry (SSCM) Levels One, Two, and/or Three. Go through all three as the full SSCM course, or take one level at a time as finances and time allow. Officially enroll as a student. There is a $30 enrollment fee to cover administration activities.Information on how and where to pay your fee is included in the form. You will also need to fill out an enrollment application. Click here to download it now. If you choose to sign up online, everything, including the enrollment fee, is automatic. No forms to fill out and all the tests are there online and can be completed immediately with no waiting for a coach to send them to you. Once you graduate from the SSCM course successfully, you are technically immediately certified. Verification of this is a confirmation email from us, along with a digital copy of your certificate of completion. Those who come to our annual KIMI Leadership Conference and Graduation Ceremonies in person, are given printed copies of the certificate, prayer, and prophetic ministry at the conclusion of a dynamic 2-day kids ministry conference. The conference is usually the third weekend of September each year.